Kathy Barker. 2005 (2nd ed). 465 pages. 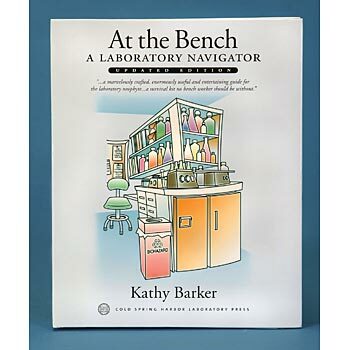 Learn about basic lab techniques and the everyday operation of a research lab with this useful handbook. The straightforward, user-friendly text covers many subjects, including lab layout and equipment, basic procedures, data presentation, and laboratory etiquette. This is a good resource for anyone with little or no experience working in a lab. The book is written for the college level but contains useful information for high school teachers with a strong interest in research. Includes appendixes with a list of additional resources, a glossary of common terms, and an index. Wire binding concealed in hard cover.